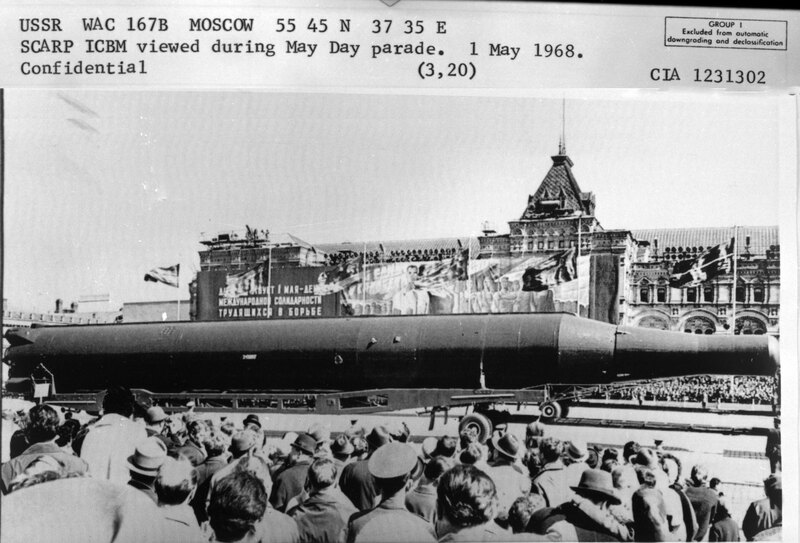 High-resolution photography from overflights, satellites, and even handheld cameras enabled the West to take accurate measurements and gather important details of various components. Additionally, identification of the participating military units contributed to order of battle intelligence. 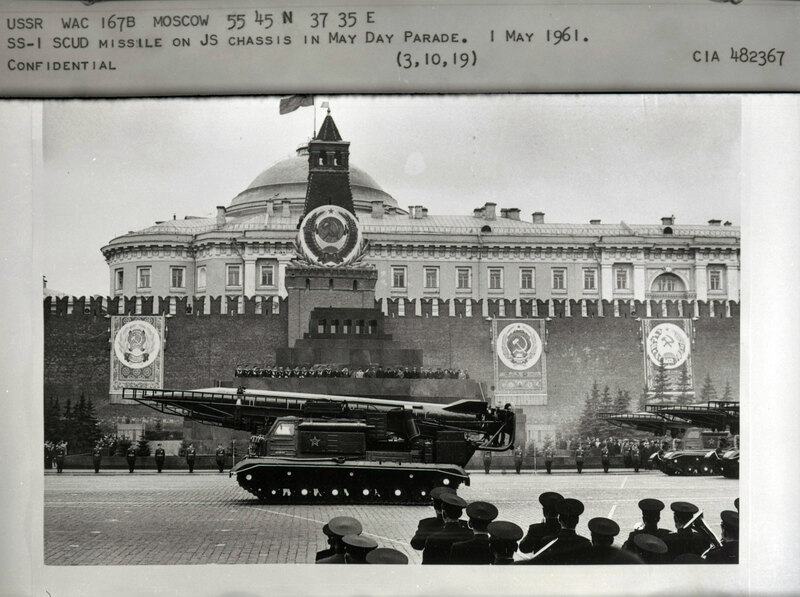 The presence of officials on the reviewing stand, their interactions, and speeches shed light on the nation’s political and military leadership, data coveted by Kremlinologists in the West. Todays’ posting by the National Security Archive, based at The George Washington University, features documents from the Central Intelligence Agency, Defense Intelligence Agency, and U.S. Army. 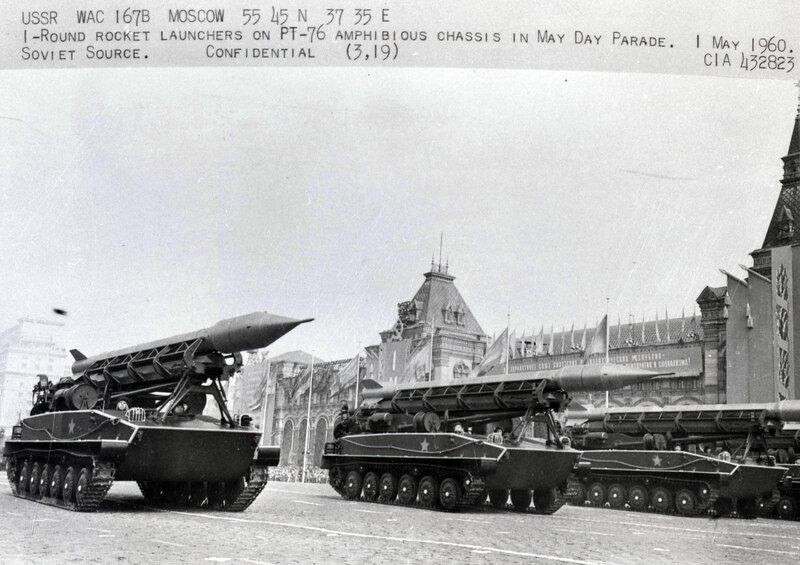 It includes records concerning coverage of a variety of military parades and intelligence reports based on the imagery obtained at those events. Many of the latter include copies of photos taken at the time. 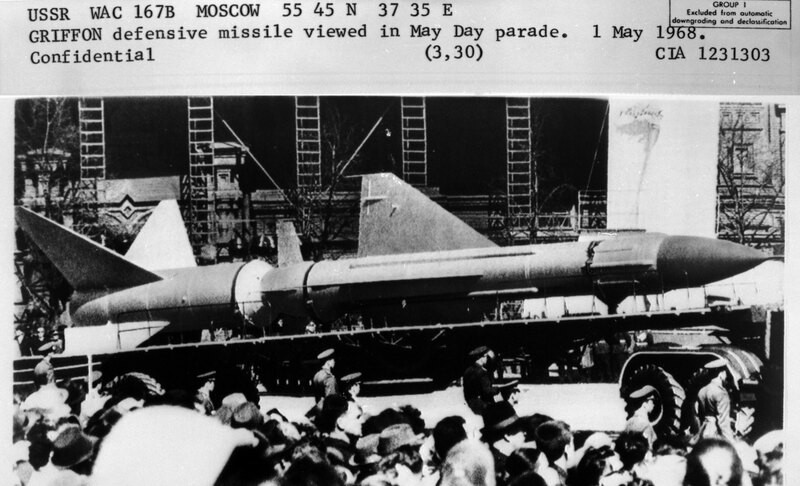 James E. David, curator of national security space programs at the Smithsonian National Air & Space Museum, compiled and introduced this Electronic Briefing Book. Technical intelligence is information on the design, dimensions, configuration, and performance of weapons systems. It is critical in establishing their exact capabilities and in determining the forces and weapons to build to counter them. Various sources contribute to technical intelligence. These include high-resolution overhead and ground photography, the interception and analysis of telemetry from aircraft, missiles, rockets, and spacecraft; the overt or covert acquisition and analysis of weapons systems; the acoustic, seismic, and radiological sensors of the Atomic Energy Detection System; the overt or covert acquisition of technical documents and scientific publications; and human sources. A common definition of photographic resolution is the distance two objects need to be apart to be distinguished as separate from each other. 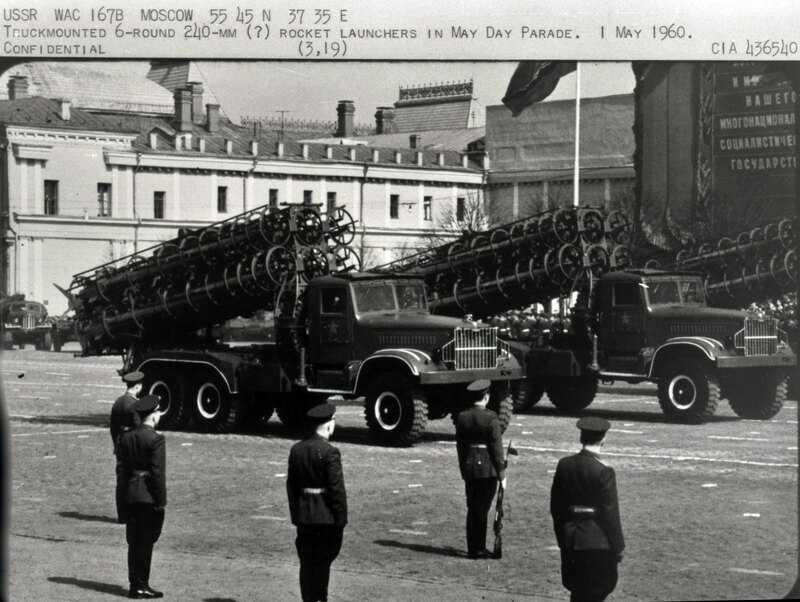 The U.S. intelligence agencies did not specifically define high-resolution, but instead determined the resolutions necessary to provide different levels of technical intelligence. 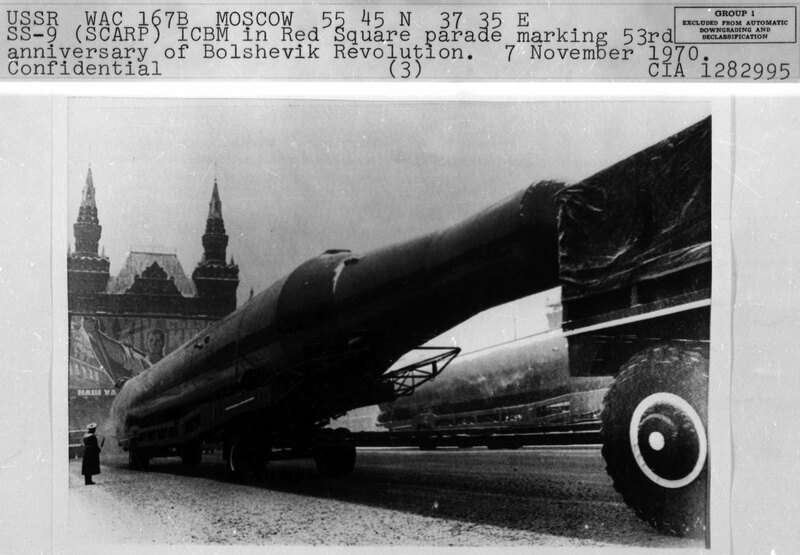 In the 1960s, they concluded that a resolution of around three feet was adequate to establish the existence and identity of targets such as major weapons systems. 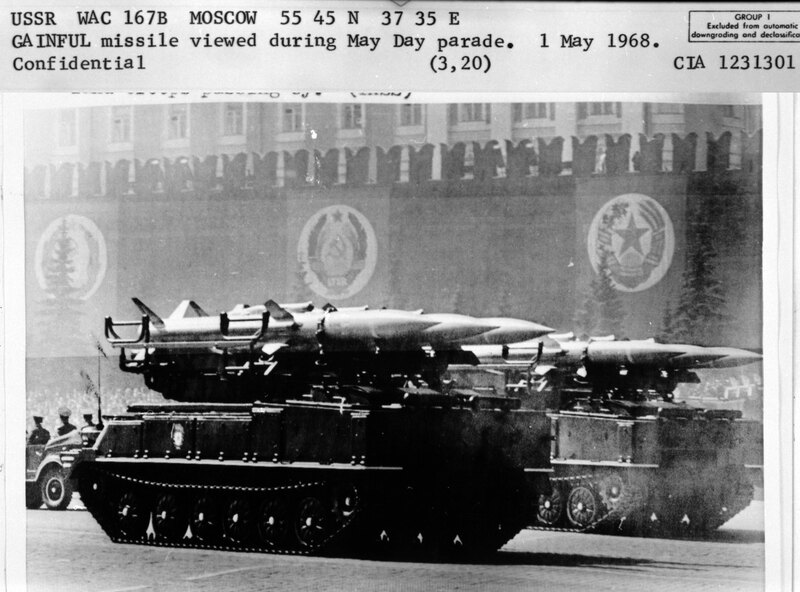 A resolution of about one foot provided critical additional information on a wide range of military targets, including missiles, naval vessels, aircraft, and certain ground force equipment. 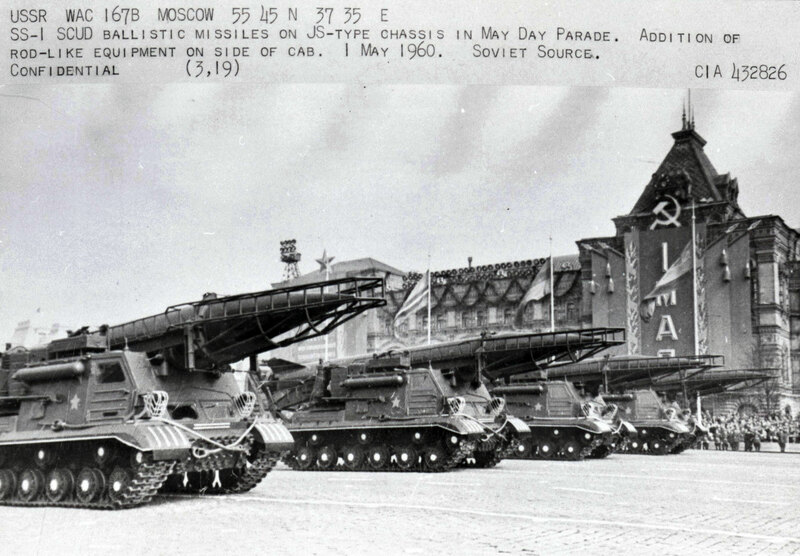 Various photoreconnaissance aircraft were capable of collecting high-resolution imagery of the USSR, but there were few overflights due to their extremely provocative nature, formidable air defenses, and the massive area to be covered. 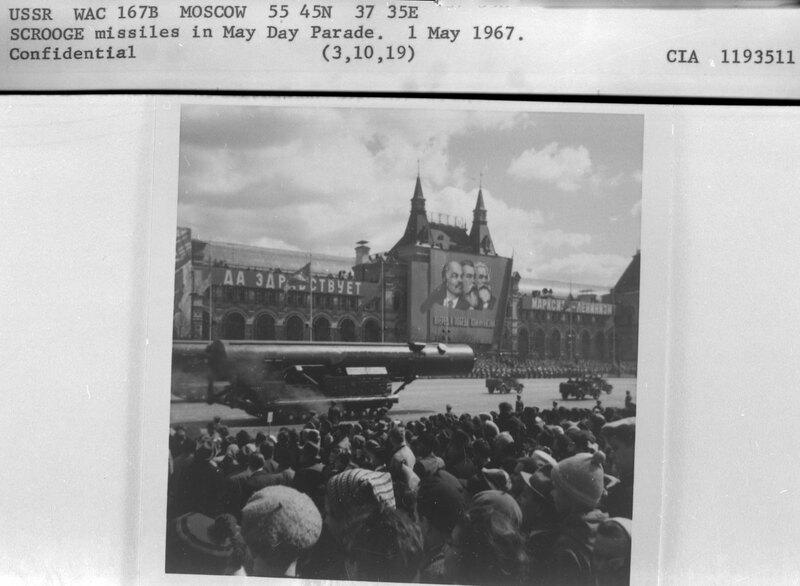 The U-2, whose B camera achieved a maximum resolution of two feet, photographed 15% of the nation during 24 successful overflights beginning in 1956. 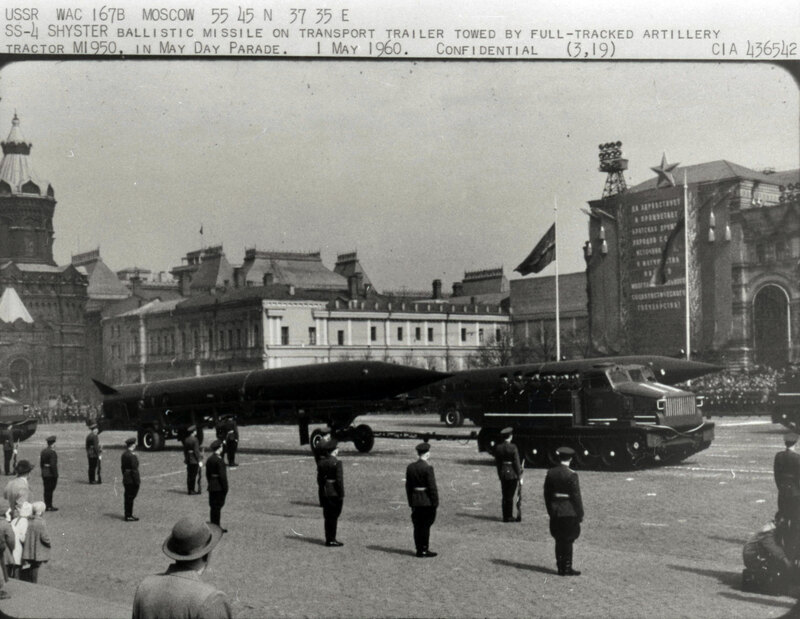 However, they ended permanently when the Soviets shot down Gary Powers’ plane in 1960. 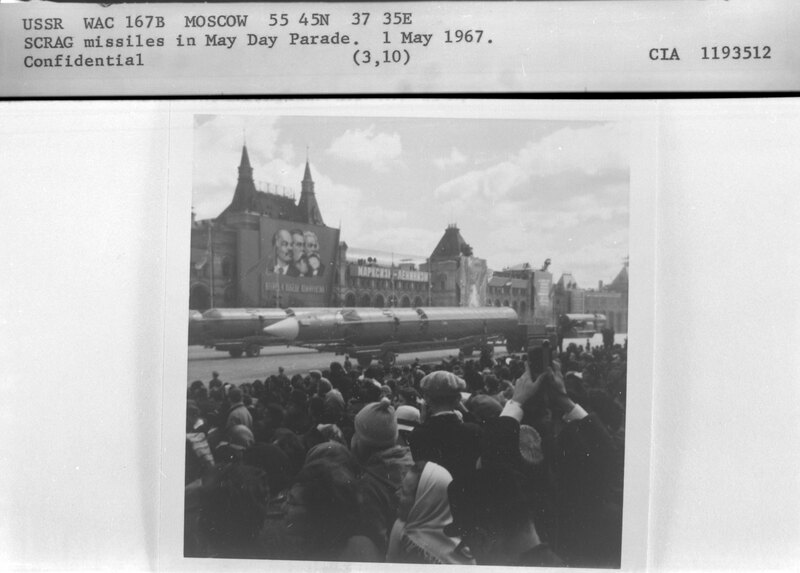 U.S. and allied intelligence personnel and service attachés used handheld cameras to photograph a wide range of targets during their trips in the USSR. Intelligence agencies also acquired imagery taken by tourists and business visitors. 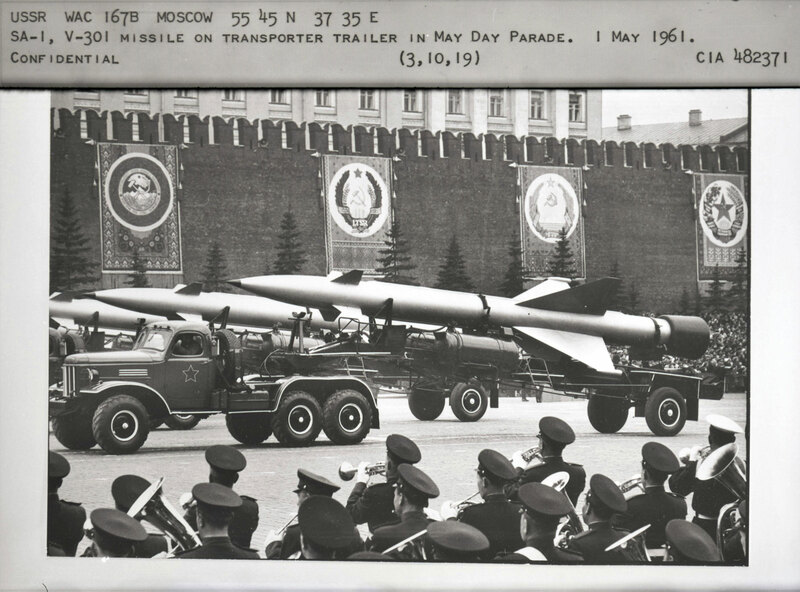 However, with the severe travel restrictions imposed on Westerners and the massive security around military installations these efforts did not capture many weapons. 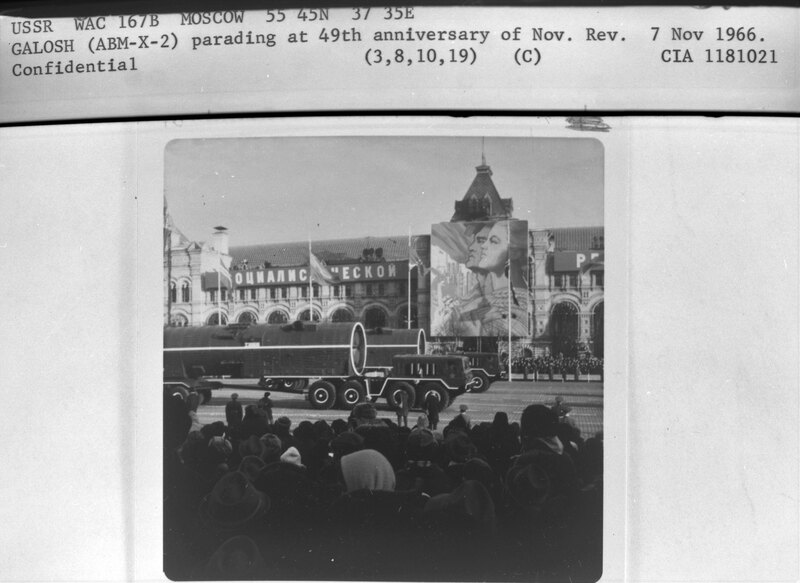 In contrast, parade photography frequently did. The resolutions achieved in this imagery are unknown, but the best must have been about several inches. 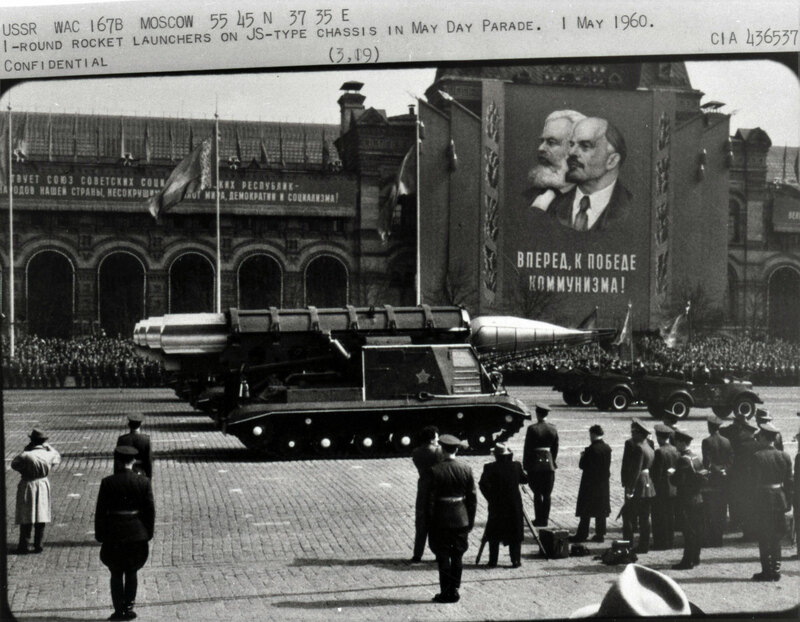 Annual parades included the May Day parade held on 1 May as part of the celebration of International Workers’ Day and the October Revolution Parade held on 7 November as part of the commemoration of the Bolshevik takeover in 1917. 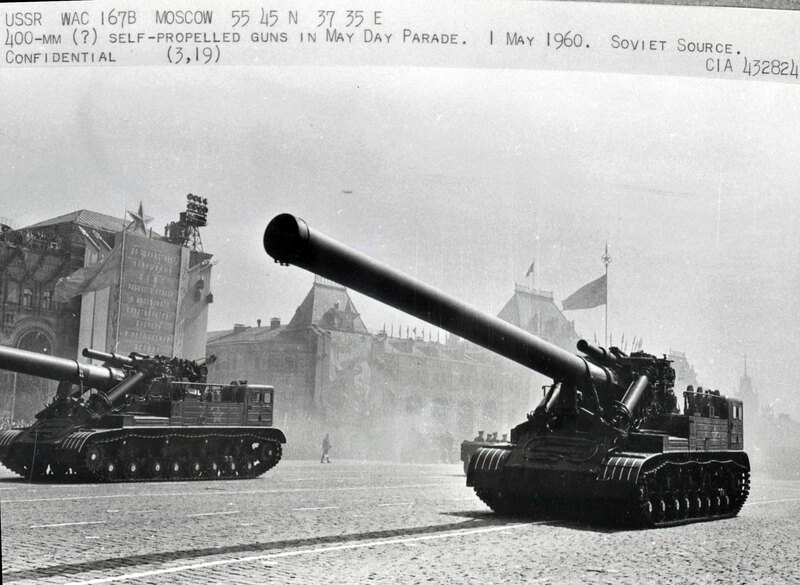 Although the largest parades took place in Moscow, other Soviet cities held them as well. 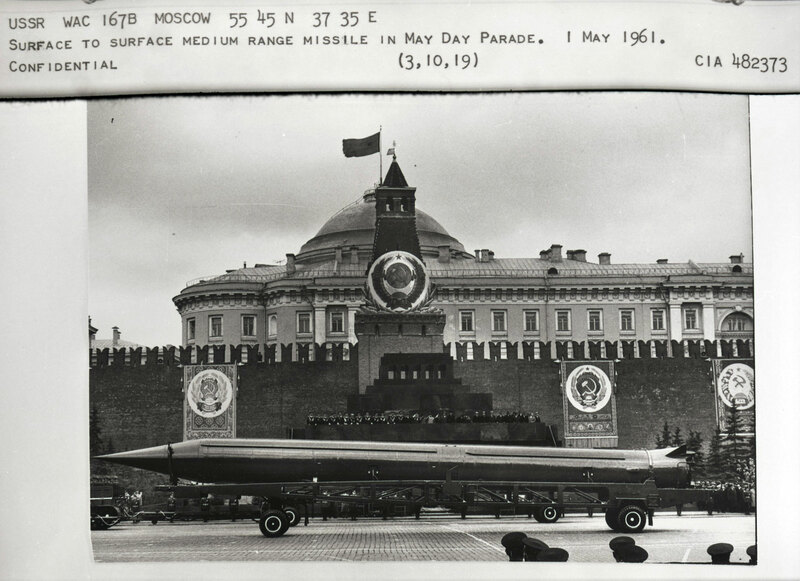 Moscow also occasionally hosted an air show in July that emphasized military aircraft. 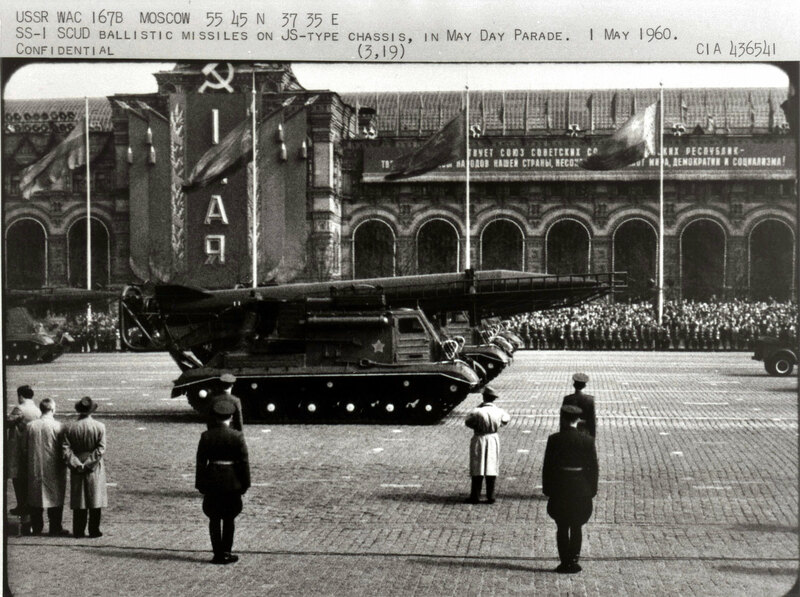 It is worth pointing out that although the Soviets were notoriously skittish about opening themselves up to surveillance of any kind and, as noted, sharply restricted travel and even photography by Westerners, those concerns apparently did not outweigh a collective sense of pride and a determination to show off their military prowess to the world. 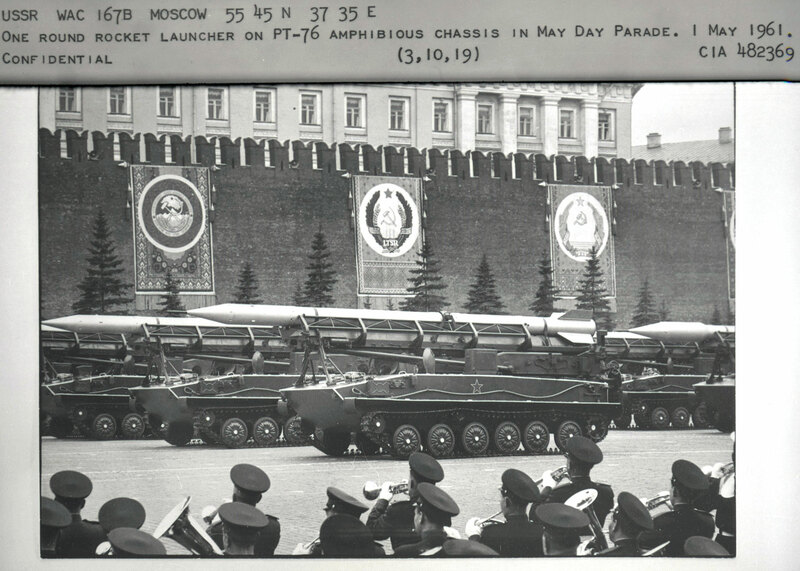 At most they occasionally used canisters when displaying missiles for the first time, such as the GALOSH in the November 1965 parade. 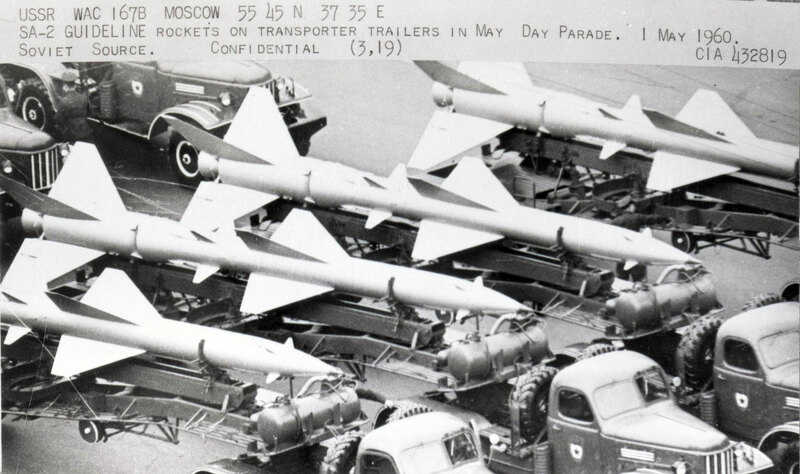 However, in later years they would display the missiles themselves in the open. 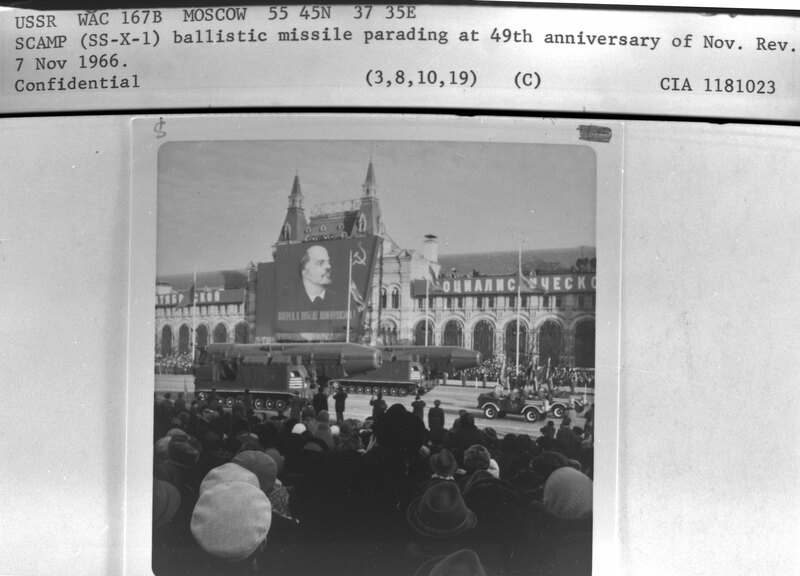 The following photos with captions are scans of 2” x 2” negatives from a CIA ground photo collection located in Record Group 263 at the National Archives. They were obtained by James E. David. 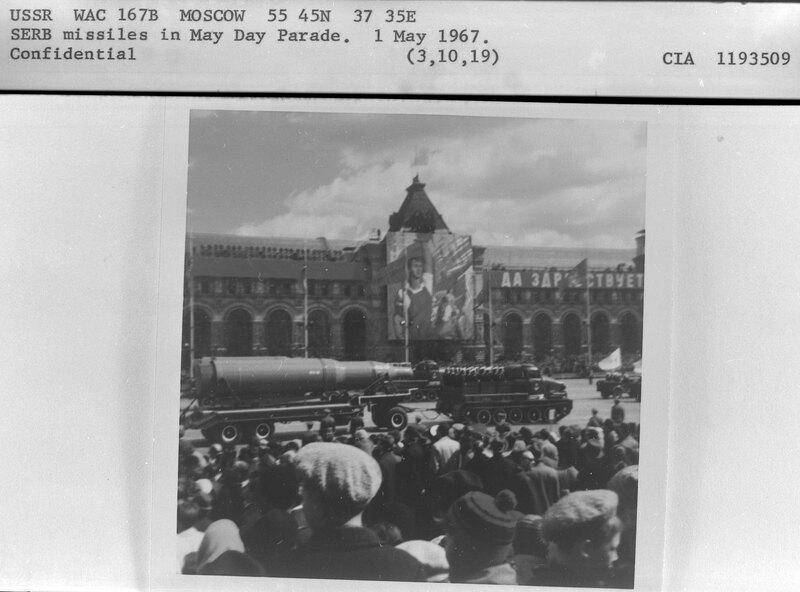 The collection has about 1.5 million photos covering 1900-1980 and was reviewed for declassification around 2000. 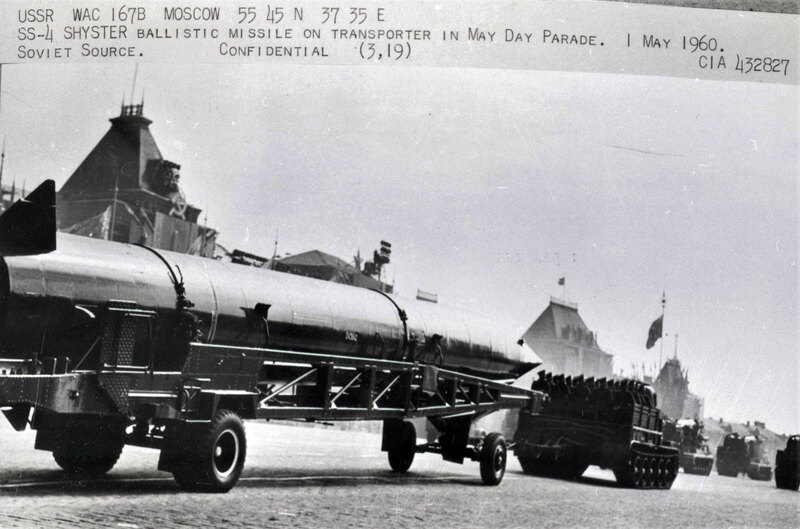 Roughly 40 percent of the collection remains classified, including some parade photos. Robert A. McDonald, Ph.D. and Patrick Widlake, “Looking Closer and Looking Broader: Gambit and Hexagon – The Peak of Film-Return Space Reconnaissance After Corona,” National Reconnaissance – Journal of the Discipline and Practice, January 2012, p. 2. Requirements for Satellite Photography for about the Next Five Years, COMOR-D-13/23, 4 November 1964, CREST (CIA Records Search Tool) database. Memorandum for Brigadier General Andrew J. Goodpaster, 19 August 1960, CIA Freedom of Information Act Electronic Reading Room. “Looking Closer and Looking Broader,” pp. 2-9. See, e.g., William E. Burrows, Deep Black – Space Espionage and National Security (New York: Random House, 1986), pp. 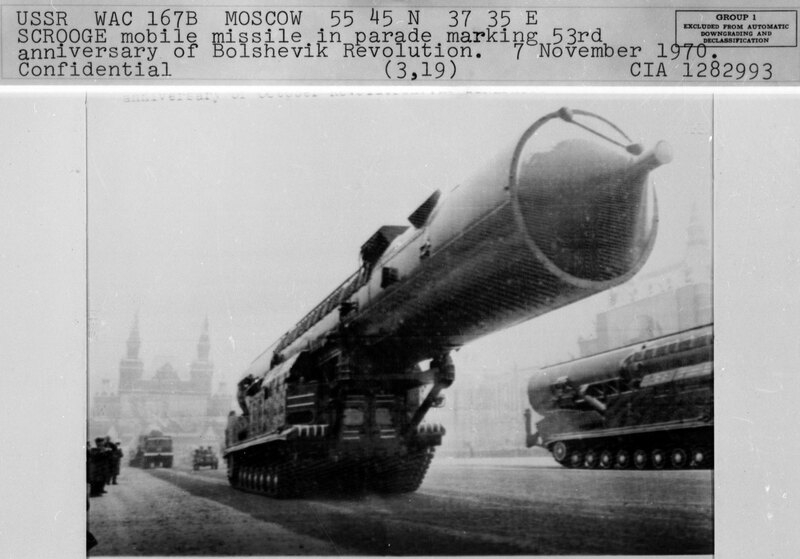 68, 81; L. Parker Temple III, Shades of Gray – National Security and the Evolution of Space Reconnaissance (Reston: American Institute of Aeronautics and Astronautics, 2005), p. 70; Donald P. Steury, Ed., Intentions and Capabilities: Estimates on Soviet Strategic Forces, 1950-1983 (Washington, D.C.: Central Intelligence Agency, 1996), pp. 5-6.